This product has been discontinued and is no longer available. However, it has been replaced by The Life Recovery Bible NT w/Psalms & Proverbs - Softcover.You will be automatically redirected in sec. 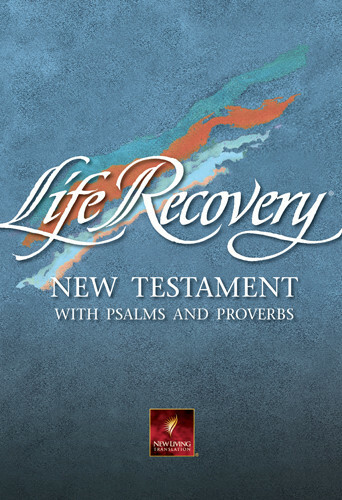 The popular Life Recovery Bible is now available in the New Living Translation. Designed for both the Christian who is seeking God''s view on recovery and the non-Christian who is seeking God and answers to recovery, the Life Recovery Bible will lead readers to the source of true healing-God himself. The features of this best-selling Bible were brought together by two of today''s leading recovery experts, David Stoop, Ph.D., and Stephen Arterburn, M.Ed. Recovery notes pinpoint passages and thoughts important to people in recovery. Twelve Step devotionals discuss the important truths of the Twelve Steps in the context of Scripture. Serenity Prayer devotionals reflect on principles from the Serenity Prayer illuminated by specific Bible passages. Recovery Profiles feature recovery lessons drawn from the lives of key Bible people. Recovery Principle devotionals show how the Bible addresses many specific concerns of people in recovery.